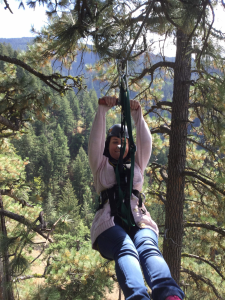 Our (mostly) fearless leader Kara went ziplining for the first time on September 13th in Coeur d’Alene! 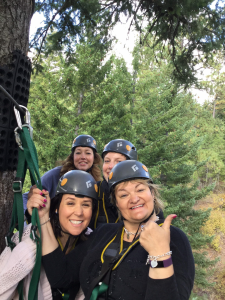 This awesome event was sponsored by The Hartford, and Kara enjoyed zipping along with her colleagues from the Regional NASBP meeting taking place there.Now Kara can cross this off of her bucket list! 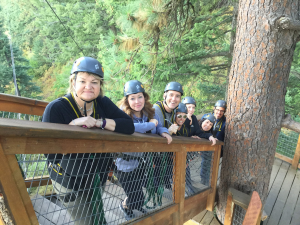 Thank you very much to The Hartford and Kara’s fellow zipliners for a great afternoon.